We're happy to offer our DC readers the chance to attend a free early screening of Blumhouse's The First Purge. It is the fourth film in the franchise that began with 2013's The Purge. SYNOPSIS: Behind every tradition lies a revolution. Next Independence Day, witness the rise of our country’s 12 hours of annual lawlessness. Welcome to the movement that began as a simple experiment: The First Purge. The screening takes place on Monday, July 2nd at 7:30pm at AMC Mazza Gallerie. If you'd like to attend, simply complete the required steps in the contest form below. Winners will be selected on Friday, June 22nd and notified by email. Good luck! 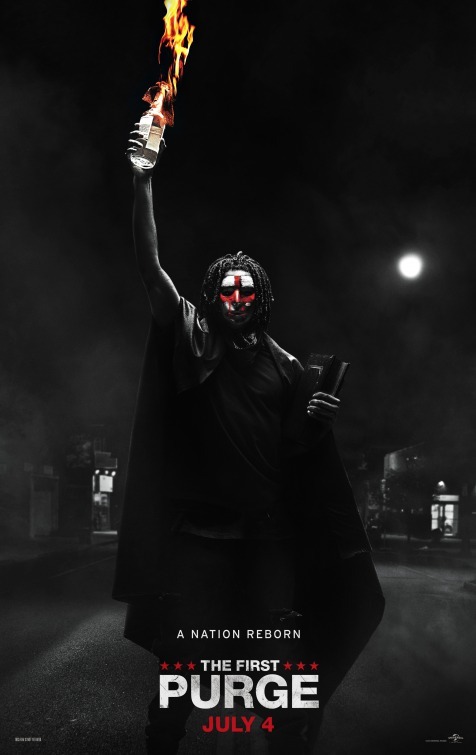 The First Purge opens July 4th.